This combo pack from Federal is one of the smartest purchases that a conscientious concealed carrier could make! Inside each box, you'll find 120 rounds of premium 9mm ammunition. 100 rounds are from Federal's American Eagle brand and feature full metal jacket (FMJ) projectiles intended for practice and range drills. The remaining 20 rounds come from Federal's HST line which is home to the most sought-after duty loads in the United States. 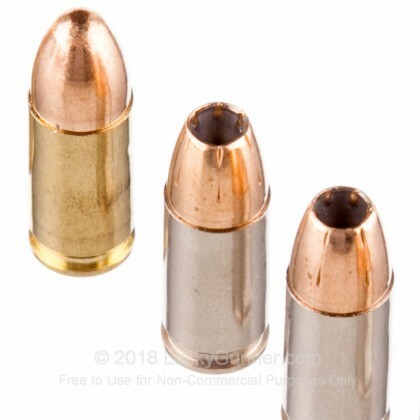 All of the rounds share the same 124-grain weight bullets for identical recoil and proven ballistics; this means that the shooter can train on a single sight picture and get accustomed to a consistent cycling impulse without investing in two separate cases of ammo. 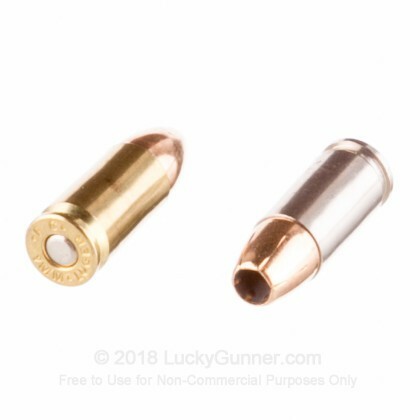 The HST jacketed hollowpoint (JHP) projectile used in the 20 defense rounds features a wide-mouth, a deep hollow cavity, and copper jacket serrations which all contribute to dependable expansion on impact. This petaled expansion is among the widest recorded in testing and ensures that energy is appropriately dumped into the vital zones of a threat, bringing any confrontation to swifter end. 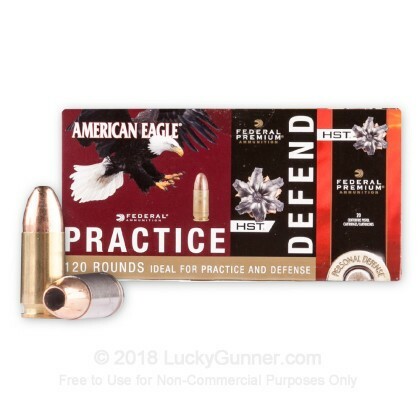 Both American Eagle and HST rounds feature reloadable brass casings and non-corrosive Boxer primers. 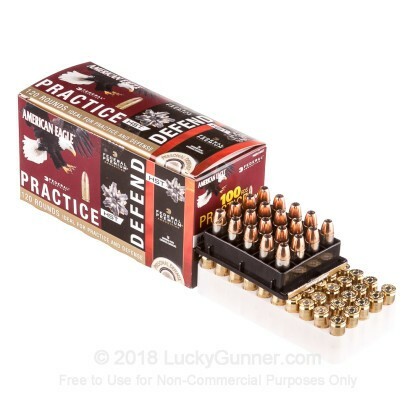 HST ammo also exhibits dull muzzle flash and benefits from nickel-plated casings that promote smoother feeding, seamless extraction, and resistance to moisture in a holstered environment. 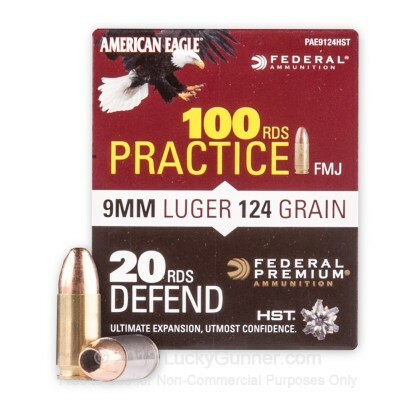 We don't have any reviews yet for this particular 9mm Luger (9x19) ammo from Federal. 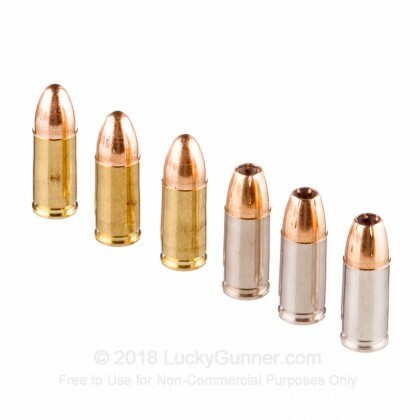 If you'd like to be the first to review this particular 9mm Luger (9x19) ammo from Federal, fill out the form below.